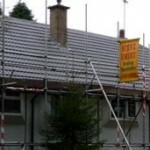 Do you need chimney work in Alsager? When was the last time, if ever, you thought about your chimney? Do you need chimney work in Whitchurch carried out?